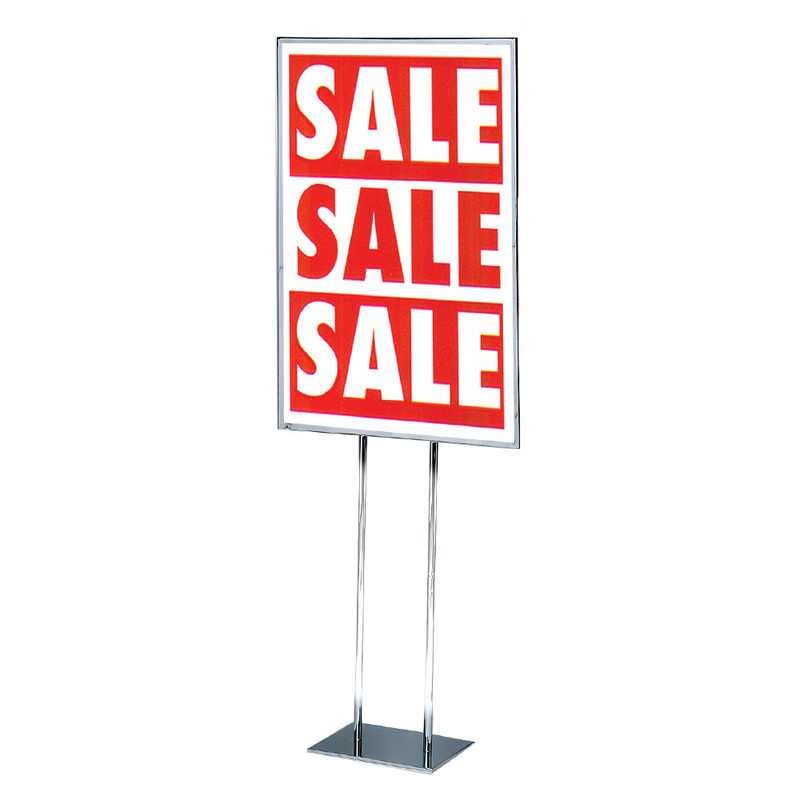 Freestanding poster holder attracts attention to your promotions! Sturdy sign holder stand holds a standard 22 in.x 28 in. posters. Sign holders help promote product categories or specific promotions throughout you store. Features double sided versatility and heavy duty construction. Add a clear protective plastic to keep your signs neat, search item 4413A. Also available in Black, 4899BK.